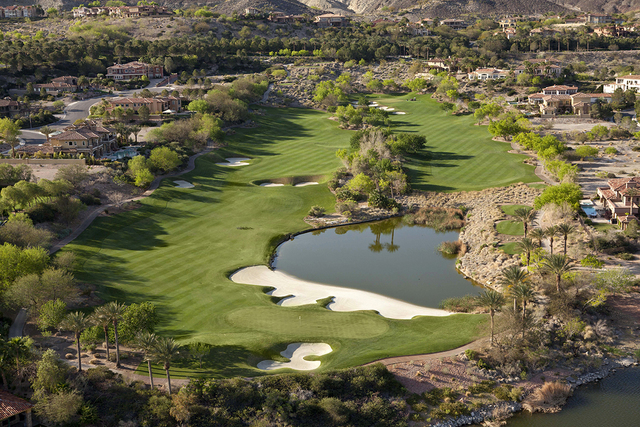 On June 14, Colliers International announced their position as exclusive agent for the sale of the Golf Club at SouthShore in Henderson’s Lake Las Vegas. When you mention real estate in Las Vegas, the first images that often come to mind are fancy suites on the Strip and trendy homes in the Summerlin area. 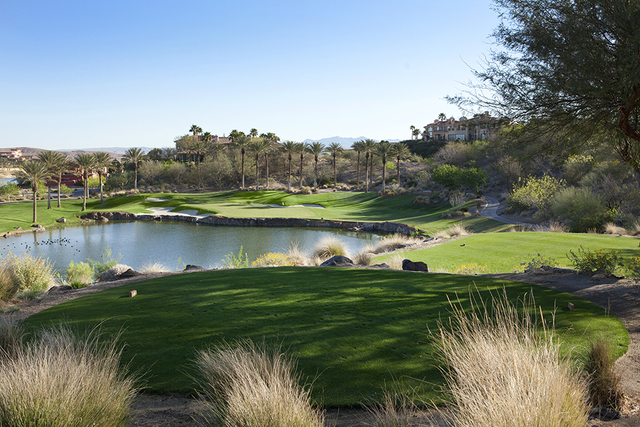 On June 14, Colliers International announced its position as exclusive agent for the sale of the Golf Club at SouthShore in Henderson’s Lake Las Vegas. In 2011, Canada-based Pacific Links International purchased the golf course, which was built in the late 1990s, for $6 million. This is the last of three Las Vegas golf courses the company is selling. Earlier this year, it sold MacDonald Highlands Dragon Ridge Country Club in Henderson and Southern Highlands Golf Club back to their developers, according to the Las Vegas Review-Journal. The details of those transactions were not disclosed. Both MacDonald Highlands’ Rich MacDonald and Southern Highlands’ Garry Goett have said they will keep the golf courses as amenities in their luxury home communities. Pacific Links International was founded in 2009 with a mission of creating an international network of private clubs. In six years, it has accumulated 450 courses worldwide. The year-round golf schedule in Las Vegas has required the industry to recruit the best in talent for operators and superintendents. Many course owners hold golf courses in their commercial real estate portfolio as another investment. Although the golf course real estate market remains popular, not every location is following the trend. At Wynn Las Vegas, its longtime golf course is likely to be transitioned into a lagoon and social club to reap the benefits of growing non-gaming spending by tourists. Wynn established several non-gaming spending trends in the last decade, from Tryst nightclub to introducing several new retailers to the Las Vegas market, so the conversion does not surprise local industry experts. The key to all golf course real estate transactions is the deed restriction that determines if the golf course can be transitioned to residential use. Industrywide, there have been three major eras of golf course development in the United States. In the 1920s, 1950s and 1990s. Most of the golf courses built in the 1990s have deed restrictions that prevent them from being transitioned to residential or commercial real estate. When golf course owners have an opportunity to transition a golf course into commercial or residential real estate, they often jump at the chance because of the obvious higher profit margins. Residential real estate transitions are more common than the smaller-profit margin of golf course deals. The SouthShore community has 490 homes and there is room for more than 800 additional units. Both Cubba and Zyla believe the Las Vegas market will remain strong because of the high number of golf courses in the valley They also said they believe Southern Nevada has talented operators and superintendents passing along efficient operational strategies from the top down. The sport of golf is an attraction for Las Vegas as old as the slot machine itself, and no matter the real estate trend, the demand is built-in like sand in the desert.